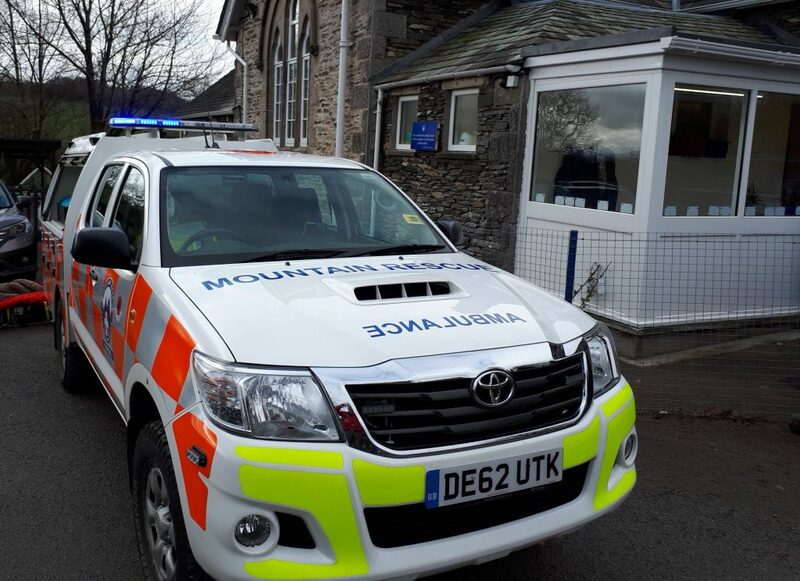 This morning, team members Tony and Neil visited Crosthwaite CofE Primary School and talked to the Early yrs children about the role of Mountain Rescue. We then enlisted their help to rescue one of their teachers who was injured on “Crosthwaite mountain”. The alpacas in the next field seemed to enjoy the morning as well.